Lorazepam High - Effects, How Much Dosage To Get High? People would ask this question, “Can you get high off lorazepam?” and the answer is a straight Yes! Lorazepam can actually get you high if you use the drug in larger doses than it has been prescribed to treat anxiety. The drug can cause physical dependence as well as addiction, and the side effects can pretty be serious particularly when it is taken in large doses. Lorazepam is a generic drug to a medication with the brand name Ativan. It is used to treat disorders such as anxiety disorders and in relieving anxiety that arises from depression. Doctors may use lorazepam to treat other conditions such as insomnia, irritable bowel syndrome (IBS), epilepsy, agitation arising from alcohol withdrawal, as well as vomiting and nausea caused by cancer treatments. Lorazepam belongs to a group or class of medicines known as benzodiazepines and comes in tablet form as well as oral concentration and an injection. Lorazepam available in injection form is used for emergency situations to help treat prolonged epileptic seizures. How Lorazepam Works in Body? Lorazepam being a benzodiazepine works by slowing down the activity of the brain. It acts on brain receptors known as GABA receptors causing these neurotransmitters to be released more in the brain. Talking of neurotransmitters, these are chemicals that the body stores in nerve cells, especially in an individual’s brain as well as the nervous system. These chemicals are used to transmit messages between nerve cells. Speaking of GABA, it is a neurotransmitter that works as a natural nerve-calming agent – it helps bring a balance in nerve activity within the brain. The drug is intended for short term treatment of conditions like anxiety and insomnia because it is said to have a high potential for causing dependence and addiction. Patients should only take the drug for only two to four weeks and this includes the period of gradual reduction in use of the drug to help prevent serious withdrawal symptoms or prevent insomnia and anxiety from coming back after stopping the treatment. Is Lorazepam Addictive to Users? If you are asking yourself whether lorazepam is addictive then you may want to know that it is extremely addictive. And this is the reason why you see doctors only prescribing the drug to be used for about 3 to 4 months at any given period. The drug is not appropriate for use in the long term because of how easily it can lead to drug dependence and tolerance among users. When an individual takes lorazepam for an extended period of time, it results in problems like physical dependence. One thing to note is that physical dependence on a drug isn’t the same thing as addiction but sometimes it is difficult to tell which is which – the difference between addiction and dependence. The subtle distinction is that physical dependence has something to do with tolerance to the drug’s effects coupled with the inability to refrain from using the drug abruptly without having withdrawal symptoms. How do People Become Addicted to Lorazepam? People who take lorazepam as it has been prescribed by a doctor are less likely to get addicted to it – that is, not taking higher doses than has been prescribed and not taking the drug at greater frequency than it has been recommended. When you take lorazepam is other ways than it is required, it is regarded as intentional abuse and it increases your risk of becoming addicted to the drug. Having the drug in higher doses or taking it more frequent than it has been prescribed. How Long Lorazepam Stays in Your Body? The effects of lorazepam will last for about 6 to 8 hours after a single dose. It has also been noted that the same duration applies if an individual is taking the drug to become high, however, the euphoria is reported to last for up to 10 hours. Some effects of medical use of lorazepam can last for close to 72 hours. Lorazepam has a bioavailability of 90% and it is readily absorbed into the body. The peak concentration of the drug (meaning 20 ng/mL for the case of a 2 mg dose) occurs in about 2 hours after you take it. The average half life of this drug is about 12 hours meaning after this time, half the amount of the drug in body will have been eliminated. Unlike other therapeutic drugs, advancing age doesn’t present any significant effect on the way the drug stays in a person’s system but the clearance of the drug is pretty reduced with old age. That said, lorazepam can remain in body in small amount being detectable up to a period of 6 weeks following the last use. When used for therapeutic purposes, the drug gets out of the individual’s body in just a few days, say 72 hours after the dosing. How Long a Lorazepam High Lasts? In people who use the drug for recreational purposes, they become at risk of having an addiction. The reason is because the drug produces semi-euphoric effects that last for a relatively long duration – about 6 to 8 hours. Tolerance for lorazepam can build up pretty fast meaning you can form a habit of taking lorazepam within just days of your dosing. Again sudden withdrawal may induce seizures, tremors, and even death. class. Doctors prescribe it to treat anxiety, sleep disturbances or insomnia, muscle spasms, seizure disorders, and alcohol withdrawal. The sad thing about lorazepam just as it is seen with other benzodiazepines, the drug tends to be habit forming, especially if the users don’t take it as advised by the doctor. In the United States, anxiety is a common psychiatric disorder so it is not unusual to see many anti anxiety drugs being prescribed. In fact, anti-anxiety medications are among the highly prescribed drugs in the country. According to Pharmacy Times5 lorazepam was ranked number 48 in 2012 in the list of the 200 highly and frequently prescribed medicines. Just like other benzodiazepines, lorazepam affects the nervous system by depressing its activity which slows down the electrical activity of the brain. When the drug creates a calming effect, it helps to treat symptoms such as tension, restlessness, irrational fears, as well as irritability. That is the good side of the story, what about the bad side? Within a few weeks individuals who take lorazepam tend to have their nervous system adjusting to the drug’s effects – that’s when tolerance begins to crave in. A user begins taking the drug in higher doses so that they achieve the same level of sensation of calm and relaxation. A 2013study conducted by the National Survey on Drug Use and Health6 showed that 1.7 million Americans at the age of 12 or above admitted to have used tranquilizers such as lorazepam for nonmedical purposes during that year. 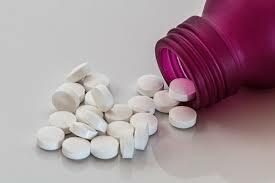 The recreational use of lorazepam increases an individual’s risk of becoming dependent and addicted to the medication. There is a misconception which has resulted in irresponsible use of benzodiazepines, that’s, because Ativan or lorazepam is legal and frequently prescribed for medication, many individuals may have a false believe that the drug is safe when compared to other drugs like heroin or meth. However, the reality is that if the drug is abused, it can just be as harmful as illicit drugs. While lorazepam doesn’t cause serious suppression of an individual’s respiratory and cardiovascular systems, a fatal overdose occurs after combining the drug with other depressants or drugs of the central nervous system. Statistics drawn from the Drug Abuse Warning Network (DAWN)7 show that in the period between 2005 and 2011, about 1 million Americans looked for emergency treatment to get help after having benzodiazepine abuse. A majority of those visits involved people who used benzodiazepines in combination with opiate pain relievers, alcohol, and sleeping pills among other drugs that depress the CNS. If you are thinking about snorting lorazepam to become high it is important that you are well informed of the repercussions. Lorazepam will enter the bloodstream if snorted meaning you expose the body and brain to higher doses than it would if you used it through oral routine as recommended. How long the drug’s effects last in body will depend on its pharmaceutical preparation as well as the physical condition, but generally speaking, the effects last somewhere between 6 to 8 hours following a single dose. When you snort lorazepam it extremely lowers the blood pressure and decreases your heart rate. It can also result in a coma. Also inhaling lorazepam makes you feel confused and drowsy something that puts you at risk of being involved in accidents or having an injury. Snorting also increases the likelihood of being addicted to the drug. Probably you may be asking, “Is snorting lorazepam safe?” the answer is No, it is never safe to snort lorazepam. The maximum recommended dosage for lorazepam (meaning the dosage you should take without causing serious side effects) is between 0.5 to 2mg at a time. What About Taking Lorazepam Along with Alcohol? It is a common practice for drug abusers to mix different kinds of drugs or take the drugs along with alcohol and this is a big danger. Because lorazepam causes euphoric high, many people think that when they snort or mix it with alcohol it will intensify the effects of this drug. Mixing lorazepam with something like alcohol brings about irritability, impaired coordination, loss of inhibitions, suicidal or self harming behaviors, and memory loss or amnesia.